There is a preconception that in order to work for the Charity and Not for Profit Sector in particular, you need to take a pay cut and career development is limited. It is also reported that some organisations are often restricted in what they can pay frontline staff and this can cause problems when trying to recruit top talent. However, people choose to work in this sector for all sorts of reasons and skills gained in the corporate sector are often sought after and transferable. So how can you attract the attention of the right quality and quantity of candidates? Let us take a look at this sector sourcing quadrant from the UK Candidate Attraction Report 2017 and discover which channels are providing the best quality and quantity candidates. The chart below shows that in-house recruiters in this sector are largely successful in attracting candidates to apply directly via their website/careers site and the report shows that this success improves with scale. Social media though is a different story; as a channel it is regularly used, (73%), but just isn’t delivering high enough results as the other channels. Pay-Per-Click (9%) delivers a much better quantity and quality of candidates yet, like many other sectors is underused as a channel. ATS/CRM/Talent Pool (35%) similarly produces a high quality of candidates, but the quantity is below average. Interestingly, this sector is one of the few that doesn’t have candidate scarcity as a primary issue so there is almost certainly room for improvement here to build the talent pool and a talent pipelining strategy to ensure a flow of top talent. Instead it is salaries being lower than market average (54%) that is the biggest candidate sourcing issue within this sector, followed by a lack of recruitment marketing budget that is forcing in-house recruiters to do ‘more with less’. Both show a substantial increase on the previous year, across the board, 9% and 7 % retrospectively. One channel that you might wish to review the success of is Employee Referrals as these produce a good quality of candidates but lack in quantity. Within this sector Employee Referrals as a sourcing channel is used just 25% so with a more concerted effort this channel and also your ATS/CRM/Talent Pool could really start to deliver improved results for you. Yes it’s true that candidates with the right skills will pick and choose where they want to work but make sure that you are encouraging skilled talent to engage with you and once you have them, nurture them and don’t make them give it all up because of your application process. Once you have identified the best channels for engaging the desired quality and quantity of candidates, review your recruitment journey so it is the best it can be. Manage relationships at every part of the recruitment journey - losing good candidates before they have completed an application with you is common is a problem that you can’t afford to have. Analyse the sourcing channels that are working for you. Make sure your brand & values are communicated throughout your careers site. Review your current talent pool and talent pipelining strategy to ensure a flow of top talent. Having a target list of pre-screened, engaged candidates ready for vacancies should be central to your recruitment strategy. Keep your online applications simple to keep prospective candidates on your site. Don’t redirect to a random site/domain. Think about the time it takes to complete an application – is it too long and could put off candidates? Optimise your recruitment and streamline your hiring workflow. Set-up dashboard reports to measure what matters to you most. In tracking your recruitment performance you can understand the activity behind the numbers. 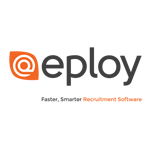 Take a look at our webinar for an introduction to complete e-recruitment. Or read how learning disability charity Mencap created award winning online recruitment. They were losing 35% of candidates at various stages of the recruitment process prior to implementing a lean recruitment strategy. Don’t forget you can also access the free Candidate Attraction Report 2017 that covers in detail the key insights from this year’s survey.